Battered Suitcase Press, 9780615782959, 216pp. A story of recovery and redemption. From the cow fields of Connecticut to the streets of San Francisco, Joe Clifford's Junkie Love traverses the lost highways of America, down the rocky roads of mental illness to the dead ends of addiction. Based on Clifford's own harrowing experience with drugs as a rock 'n' roll wannabe in the 1990s, the book draws on the best of Kerouac & the Beats, injecting a heavy dose of pulp fiction as it threads a rollicking narrative through a doomed love triangle, lit up by the many strange characters he meets along the way. Part road story, part resurrection tale, Junkie Love finds a way to laugh in one's darkest hour, while never abandoning its heart in search of a home. Junkie Love by Joe Clifford is an original ride through the down-and-dirty underside of the drug and music scene, inspired and propelled by Jack Kerouac's youthful dreams of an American nirvana, translated to a later, darker generation. Clifford is its passionate spokesman. "Joe Clifford reminds us that even in the most punishing circumstances, the human heart doesn't just struggle or abide, it points the way home. 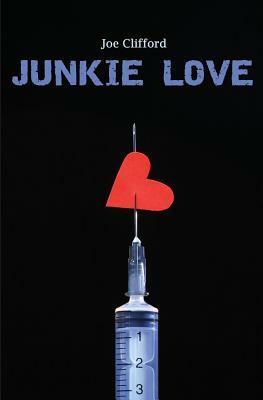 Junkie Love is a savage, funny, ravishing gift of a book, strangely gentle and beautifully strange. Like Jimmy Santiago Baca's A Place to Stand, it reveals that man in extremis is the man in the mirror, and that our own humanity resides precisely in the willingness to see the irreparable fault lines in our own souls, to witness despite the impenetrable darkness: to love." - David Corbett, author of Blood of Paradise and Do They Know I'm Running? Joe Clifford is an editor at Gutter Books and producer of Lip Service West, a "gritty, real, raw" reading series in Oakland, CA. From homeless junkie to successful author, Joe Clifford has dedicated his life to education and the craft of writing and helping other ex-junkies find a voice and a platform for their creative energies. He is the author of several acclaimed books, including Lamentation and December Boys in the Jay Porter series. He lives with his wife and two sons in the San Francisco Bay Area. Much of Joe's writing can be found at www.joeclifford.com.